Along the Columbia Gorge, there are two main routes of travel in an automobile — along the modern Interstate 84 and along the windy Historic Columbia Gorge Highway. 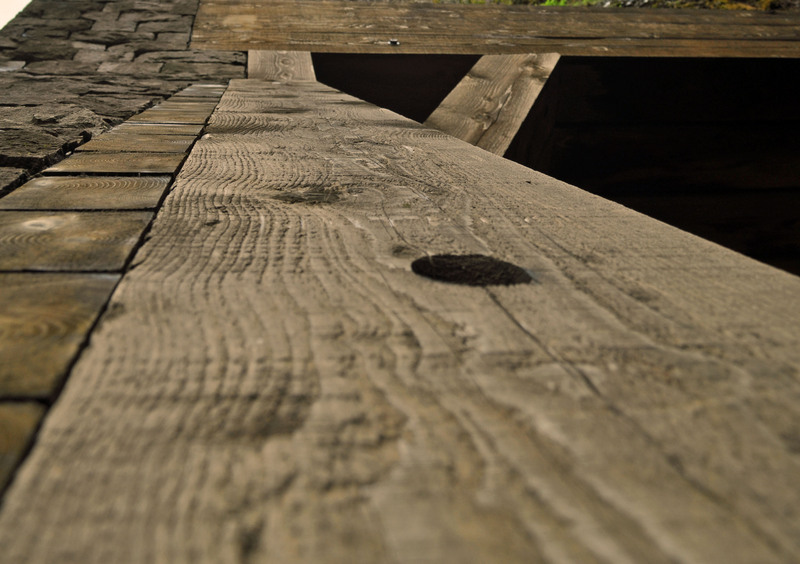 The historic highway was built between 1913 and 1922 and was the first planned scenic roadway in the United States. Much of the road still stands today, twisting its way through the cliffs that mark the boundary of the gorge. People who take the time to ride the historic highway will find a tunnel — and even a bridge — to nowhere. Few people stop at the attraction, drawn instead to the numerous and breathtaking waterfalls along the byway. The tunnel and bridge are named for the cliff they used to guide people through — the Oneonta Bluff. I’m not sure what Oneonta means, but it is a Native American word and was the name of a sidewheel steamboat that operated on the Columbia River from 1863 to 1877. 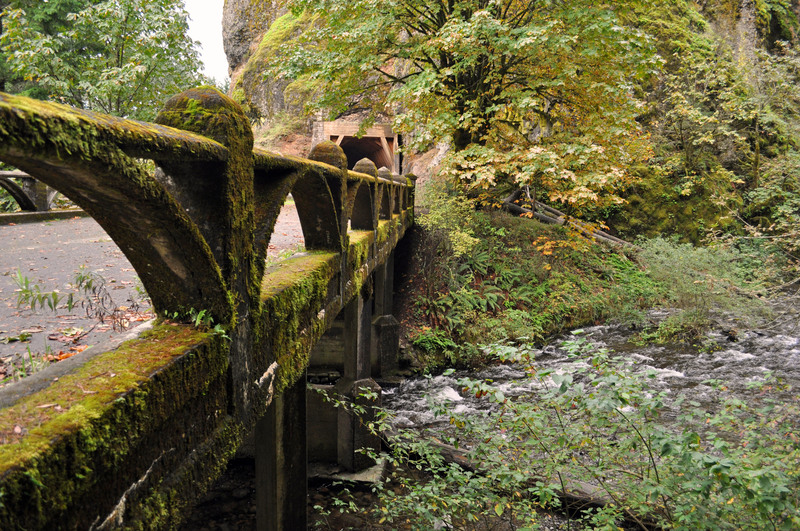 The bluff, located between Horsetail and Wahkeena falls, prevented the highway from running any further east. The only available strip of land between the formation and the river was already taken by the railroad. Made of basalt, the cliff was prone to cleaving and slides, leaving many concerned about the safety of a tunnel bore through the heart of such rock. 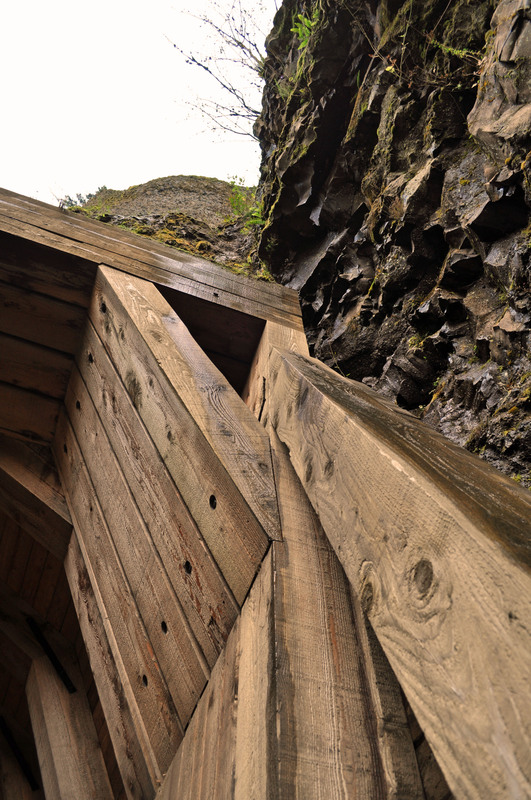 In 1913, engineers designed a plan to blast through and then shore up the rock tunnel with Douglas fir timbers. 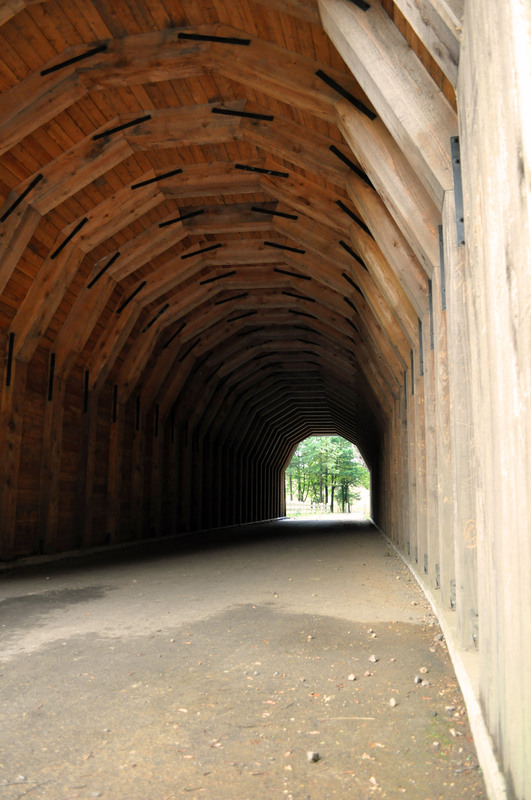 By the end of the following year, the tunnel was complete and open to visitors. Unfortunately, its use was short-lived. 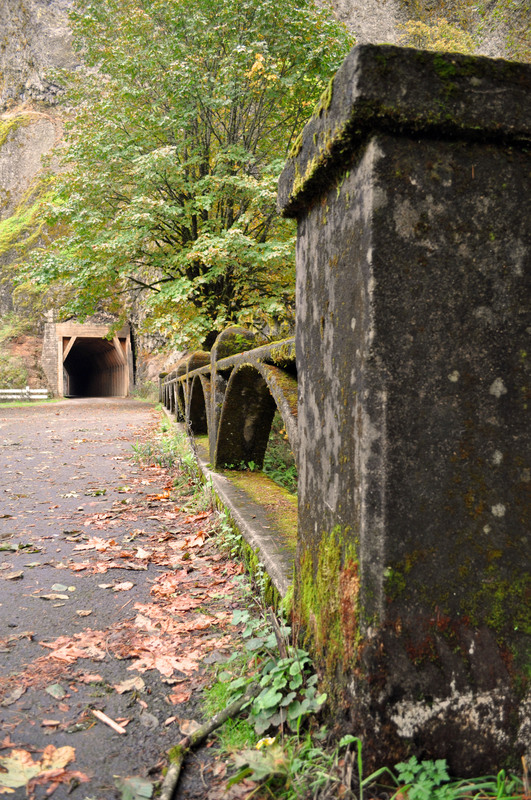 The damp Pacific Northwest weather compromised the integrity of the tunnel. Engineers had to deal with crumbling rocks and rotting timbers, leading them to build a bypass in 1948 using a lower unused rail route. 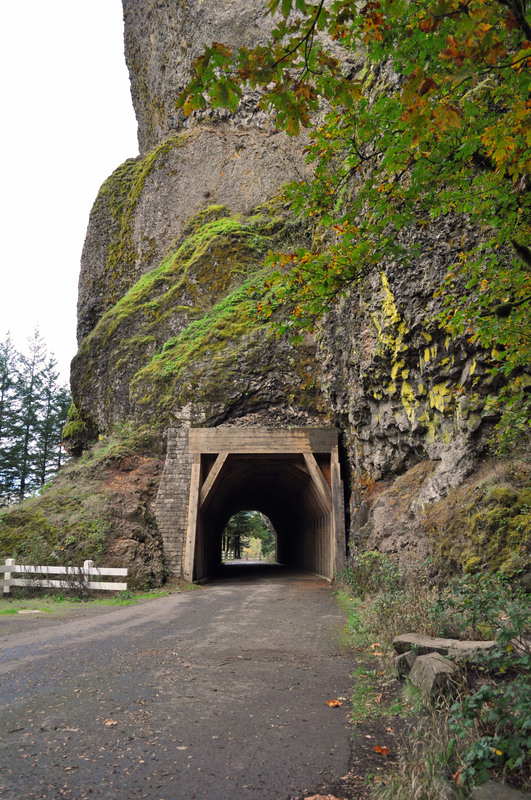 The tunnel was filled in as a precaution, but in 2009, it was restored to its original state and reopened by the Oregon Department of Transportation and the Federal Highway Administration. The tunnel and bridge leading to it are blocked off from traffic, but wide spots in the narrow highway allow people to enjoy the engineering feat.